Behala Medical Association (Indian Medical Association, Behala Branch) is a local branch under IMA Bengal State Headquarters in Kolkata. IMA Behala Branch was established way back in the year 1969 with Dr. Birendra Krishna Bhattacharyya, as founder President and Dr. Hiron Kumar Chatterjee as founder Secretary. 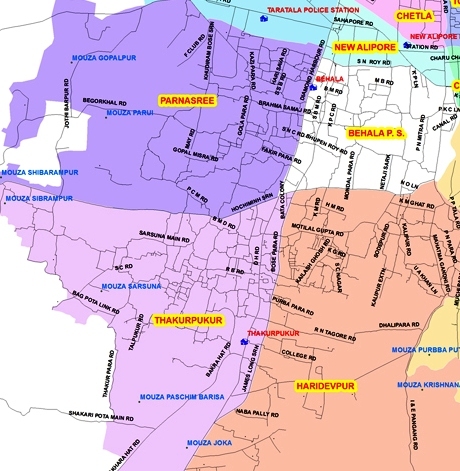 The territory of IMA Behala Branch is spread over entire South-West Kolkata City, covering 10 Post Offices namely New Alipore (53), Sahapur(38), Taratala(88), Parnasree(60), Behala(34), Barisha(8), Sarsuna(61), Thakurpukur(63), Joka (104) and Haridevpur(82).The branch also covers Behala East and Behala West Assembly constituencies and Kolkata Municipal Corporation Ward numbers 78, 115-133 (20 KMC Wards). The area is under jurisdiction of 6 Police Stations namely New Alipore, Taratala, Parnasree, Behala, Haridebpur & Thakurpukur under Kolkata Police. Peoples' Representatives: Mr. Subrata Baksi (MP), Sri. Partha Chattopadhyay (MLA Behala West) and Sri. Sovon Chattopadhyay (MLA Behala East). Sri. Partha Chattopadhyay is the Minister in charge, Commerce & Industries, Information & Technilogy etc, Govt. of WB and Sri. Sovan Chattopadhyay, is the Mayor of Kolkata Municipal Corporation.